This �Pocket Guide� is anything but. The greatly varied styles, content and purposes of the contributors defy any organization into any semblance of a reference work. Not that that is a bad thing. Even the esteemed Dr. Lambhead himself despised medical handbooks: �Medical guides have proven to be the last refuge of the incompetent.� What, then, are we presented with here? 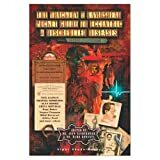 Divided into three sections, the first and largest is a collection of monographs of �diseases� by various authors; the second, recollections of dealings with the good Dr. Lambshead, and the third, highlights of �previous� editions. Let us consider each in turn. The monographs share some similar traits, such as being chopped into sections meeting the headings of country of origin, symptoms, history and cures; and most using the pretext of a disease to communicate another idea. Some are examples of medical jargon run amok, some are social commentaries, some are elaborate run-ups to cheap one-liner endings; but I am struck by the obvious insights into the writers� psyche in many, if not most of the monographs. To again refer to Dr. Lambhead's own analysis: �The standard medical guide supports and displays the neuroses and foibles of its creators." One recurring theme is the written word is a source of sustenance or contagion, as embodied by the actual paper and ink. Another is the concept that writers have something in them that must come out; to some it is the great novel, to others it is the ballistic organ or boring brain fluke. Others defy categorization, with a few �just for fun," some you don�t know what they are getting at, and a commentary on a bad experience at a backyard cook-out. The section on others� dealings with Dr. Lambshead I enjoyed the most. Out of the constricting headings format, some good story telling ensued. The last section on highlights from past guides interested me the least, and I found myself skipping phrases, paragraphs and pages to slog through it. The Assorted Garden Seed Packet Theory. There are many story lines throughout the book that I wished the author could have carried on. Hopefully, some real works of fiction will spring forth from it. The Pass the Ammunition Theory. Every hypochondriac can glean myriads of new symptoms, syndromes and diagnostic adventures from these pages to confound even the most astute primary care giver (unless they also read this book). The Inside Scoop Theory. Want to know what is really wrong with your favorite author? Read his/her selection and mine the gold. The best writing comes from within, so autopsy away. All in all, an enjoyable read. Some authors are better versed in the basic medical and scientific basics involved than others, but that was little indicator of which entries were the most entertaining. Don�t forget your speculum!